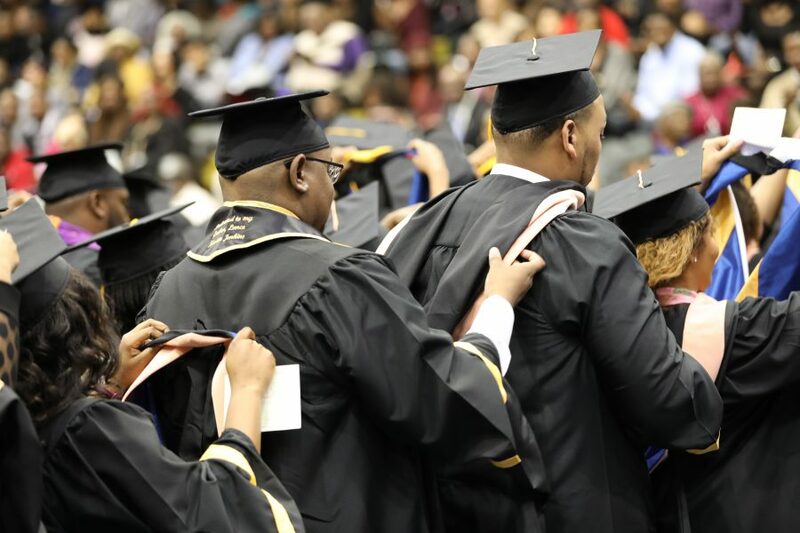 Guests are asked to be seated by: 9:00 a.m.
Commencement at FVSU isn’t an ending, it is a beginning. 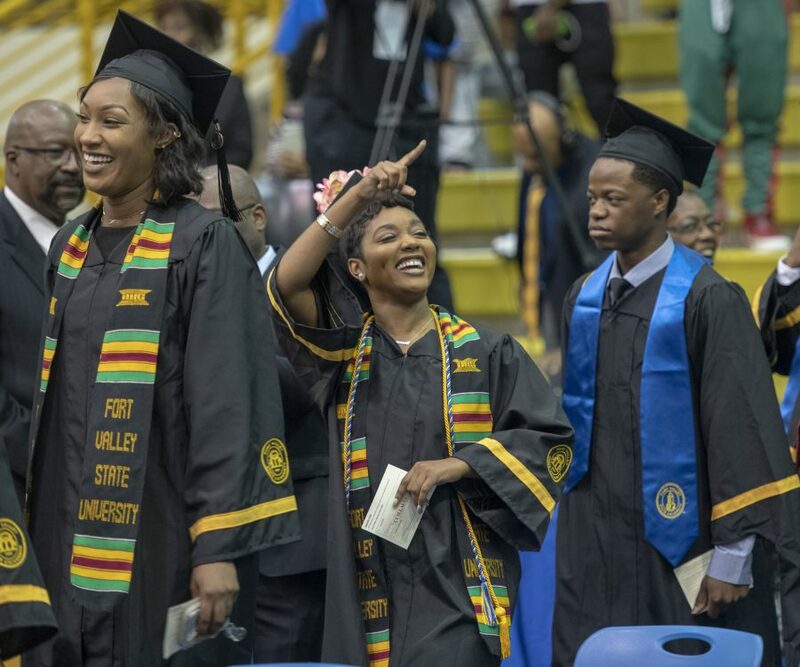 Join the FVSU family as we celebrate a milestone in the career and character advancement of our students, when they successfully create the FVSU curricular regimen in a wide variety of fields and step forward to be leaders in the workplace or graduate school. Detective Kristy Dassow Graduates with Top Honors While Fully Engaged in Law Enforcement Career. Online, long-distance learning was made more fulfilling through the support of faculty. 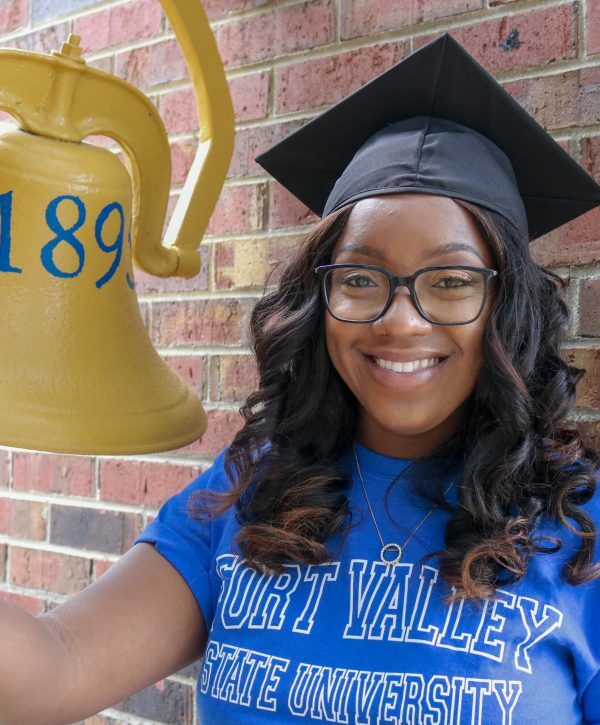 FVSU Graduating Senior Kaleb Smith Successfully Juggles Family, Research, and Innovation. Major accomplishments include the publishing of his research on machinery and presentations at major conferences. Graduating Senior Iannah James-Smith Designs Her Own Path. Media studies major is already an emerging design leader in Georgia. Pushed Out of the Comfort Zone. Senior Cleveland Ivey is out to save the ecosystem, one fungus at a time. 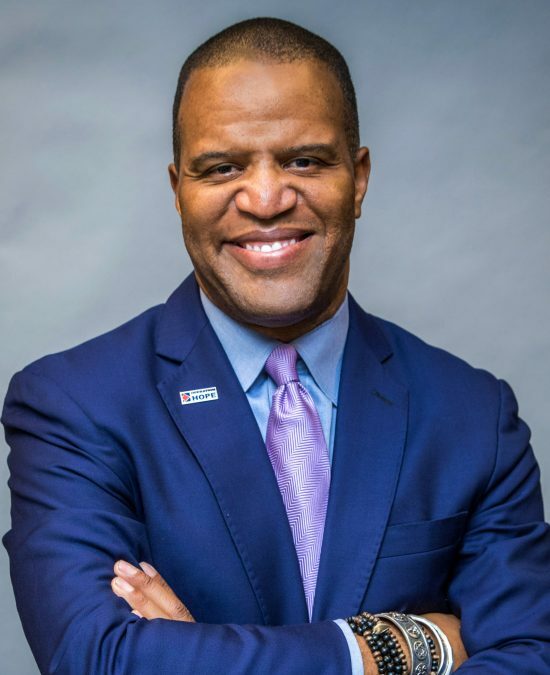 John Hope Bryant is the founder, chairman, and chief executive officer of Operation HOPE, Inc. the largest nonprofit provider of ﬁnancial literacy, ﬁnancial inclusion and economic empowerment tools and services in the United States for youth and adults and one of Atlanta’s 75 largest nonprofits overall. Bryant is also chairman and chief executive officer of Bryant Group Ventures and the Promise Homes Company, the largest for-profit minority-controlled owner of institutional-quality, single-family residential rental homes in the U.S. In addition, he is a co-founder of Global Dignity, an international movement to heal communities and transform the world through forums, workshops, and other educational experiences which show people how to recognize the humanity in others and promote the idea that we all deserve to live a life of dignity. Bryant is an entrepreneur, author, philanthropist, and prominent thought leader on ﬁnancial inclusion, economic empowerment, and ﬁnancial dignity. He was American Banker magazine’s 2016 “Innovator of the Year,” was featured in Inc. magazine’s “The World’s 10 Top CEOs” and was named one of Time magazine’s “50 Leaders for the Future.” For the past two consecutive years, Bryant has been named in the Atlanta Business Chronicle’s “100 Most Inﬂuential Atlantans” listing of Atlanta’s top business and civic inﬂuencers. The last ﬁve U.S. presidents have recognized his work, and he has served as an advisor to the last three sitting U.S. presidents, from both political parties. In January 2016, Bryant became the only private American citizen to inspire the renaming of a building on the White House campus, when the U.S. Treasury Annex Building was renamed the Freedman’s Bank Building. The Freedman’s Saving and Trust Company, founded by President Abraham Lincoln, has become the narrative of the work of Operation HOPE—to help all people in the “Invisible Class” become fully integrated into our nation’s economy. In April 2017, a historical marker, also inspired by Bryant, to honor the ﬁnal ﬂight of Dr. Martin Luther King, Jr. to Memphis on April 3, 1968, was installed at the Memphis International Airport 49 years to the day that Eastern Flight 381 arrived from Atlanta. A member of the founding class of The Forum of Young Global Leaders, and founding member of Clinton Global Initiative, Bryant is a LinkedIn inﬂuencer, contributor to Hufﬁngton Post, Thrive Global, and Black Enterprise, and a member of the World Economic Forum and Organisation for Economic Co-operation and Development (OECD) Forum expert networks. His Facebook Live “Silver Rights” Series has received 40+ million views, and serves as an engaging platform to foster essential discussion in the digital age around ﬁnancial inclusion and social uplift. Facebook’s episodic streaming series entitled Delivering The Memo, inspired by Bryant’s newest bestselling book, The Memo. He has received hundreds of awards and citations for his work, including, Oprah Winfrey’s Use Your Life Award and the John Sherman Award for Excellence in Financial Education from the U.S. Treasury. Operation HOPE and Bryant are a permanent part of the Smithsonian’s National Museum of African American History and Culture in DC. Bryant is the author of numerous books including The Memo: Five Rules for Your Economic Liberation, How the Poor Can Save Capitalism: Rebuilding the Path to the Middle Class, and Love Leadership: The New Way to Lead in a Fear-Based World.